This is a sponsored post written by me on behalf of King Digital Entertainment for IZEA. All opinions are 100% mine. I’m not a huge fan of my boys sitting in front of a TV or game system all day long, especially now that it is summer time. I do want my kids to enjoy themselves and choose something inside to do when it’s too hot or cold to go outside and I do allow the kids to have screen time. I like to keep a close eye and monitor when my kids are online or on my phone (which they constantly ask to use). There are so many new apps now that you can download on your tablets, Facebook, and phones that are not only just “fun” or “mind numbing” games anymore. It’s awesome to see that there are apps that kids and adults can improve skills and actually LEARN as they play! How awesome is that? If you’re looking for a fun-filled game that can improve your spelling and keep you sharp as a tack, then this new game is for you. 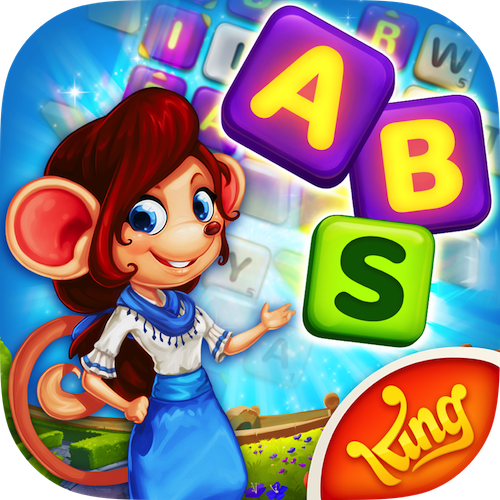 It’s called AlphaBetty Saga and it created by the makers of Candy Crush and Farm Heroes Saga, King Digital. The best part is that this app is FREE to download now on your devices, Facebook, and kids and adults alike love this game. It was super easy to learn to use it and I’m loving the game. It was a lot of fun and I picked up the directions quickly, which is always a plus. You create words and just swipe across in different directions to spell out the words to move onto the next level. The longer the words you make, the more powerful the Line Blasts are and the more points you achieve. This game can be used by both kids and adults, but would be better suited for older kids. I highly recommend you download this fun AlphaBetty Saga app for free and enjoy some quiet time while learning and having fun! 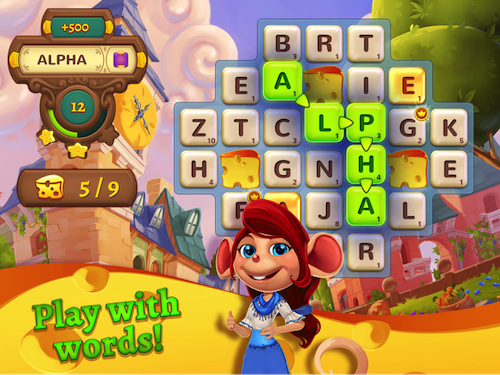 Did you know that Alpha Betty Saga is the first word-based “saga” game from King Digital, creator of Candy Crush franchise and Farm Heroes Saga? Beyond the game, AlphaBetty’s Saga creator, King, recently released a survey (check it out) to help summer travelers avoid spelling mistakes, which is amazing, during their summer travel! Who knew nowadays that you can download a really cool app that teaches and helps improve your basic skills just like AlphaBetty Saga does? It’s awesome! Don’t forget: AlphaBetty Saga is available now to download for FREE on the Apple App Store and Google Play. Go check it out right now and have a good time while learning. It’s a win, win for everyone, especially parents who want their kids to have fun and learn without even knowing it. Be sure to Follow the Betty on Twitter and check out the AlphaBetty Saga Facebook Page!